Current advanced students collaborate with LAYO alums and top professional musicians. 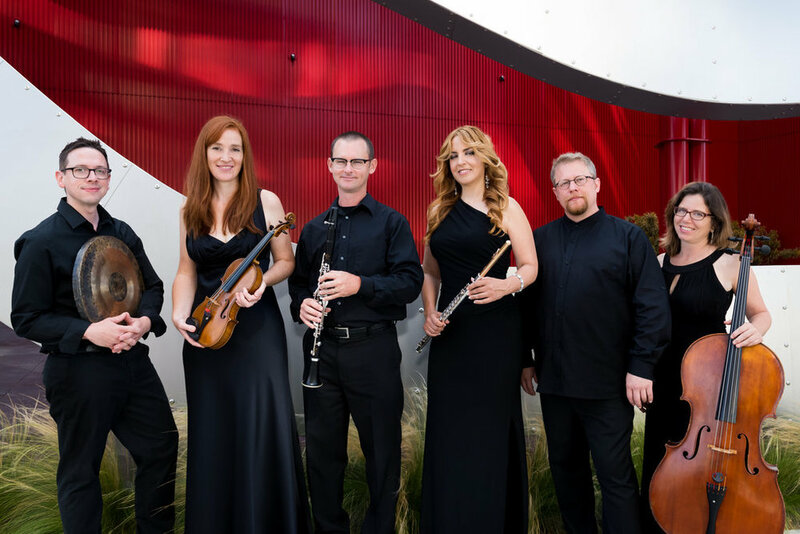 This inaugural concert features a collaboration with LA’s highly regarded contemporary sextet Brightwork newmusic. Saturday, December 1, 2018 at 7:00 p.m.
Alberto Franchetti "De' soui detti il suon mi parvi" from the opera "Asrael"
Mezzo Soprano Diana Tash and pianist Wendy Prober perform a selection from Russell Steinberg’s Sacred Transitions as part of an afternoon of art songs offered by the National Association of Composers, LA. 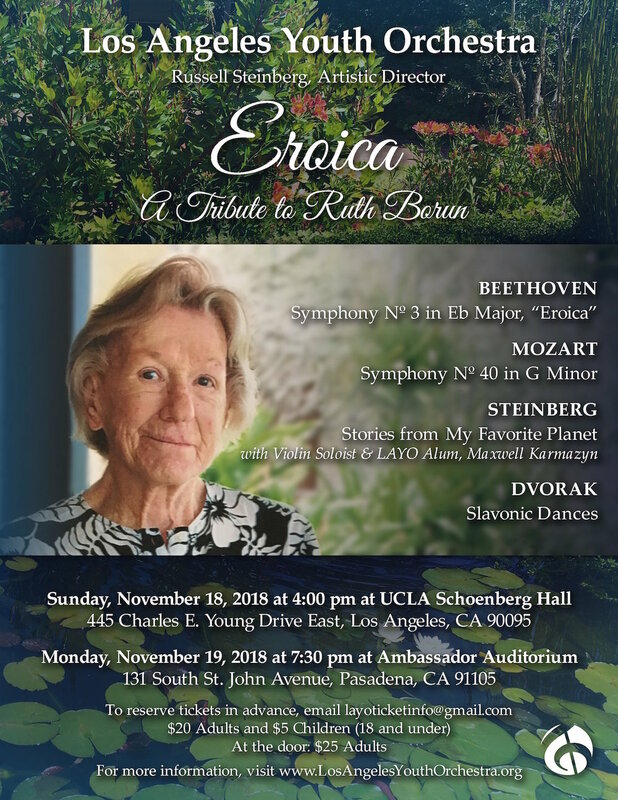 Works by Los Angeles composers including Adrienne Albert, Sandra Bostrum-Agado, Mark Carlson, Richard Derby, Yalil Guerra, Matthew Hetz, Deon Nielsen Price, Daniel Robbins, Katherine Saxon, Greg Steinke, Russell Steinberg, and Michael Glenn Williams. Geeta Novotny performs Rucksack, my monodrama about Julianne Heyman’s harrowing escape from the Nazis only to get arrested by police in the United States on suspicion of prostitution—because she had a hiking backpack! (unusual in the U.S. in the 1940s). This concert is the culmination of the NACUSA 85th anniversary conference.